When it comes to your mental health, would you trust an app? Civil engineer uses drones to help map impact to infrastructure. Stress and high-fat diet have similar effect on digestive system. Delivering Bad News? Don’t Beat Around the Bush. Can Strangers Eavesdrop on the Messages You Send From Your Phone? What do Google Searches Reveal about Consumer Intentions? Team creating rapid diagnostic test for blood infections. Cryogenic carbon capture aimed at reducing emissions. Research gets personal for undergrad and his professor/brother-in-law. Study gives personalized predictions for the disease’s next move. Cambridge, University of Washington and BYU collaborate on massive study. Researchers zeroing in on pathways that activate insulin-producing cells. How is Technology Interfering with your Relationship? Effects are particularly dangerous for innocent bystanders. Perception of favoritism linked to drug use in certain families. How do you know when a problem is worth solving? New book shows what's lost when men dominate conversation. New resarch shows violent rhetoric affects employee ethics. Poor heart health can lead to poor brain function. Sociology students survey men & women outnumbered in their fields. "Signglasses" system may help deaf literacy. BYU research advances a technology to monitor nuclear production. Archive includes rough draft of first scouting handbook. Nanotechnology embedded in football helmets gives real-time results. Findings could have implications for diabetes therapy. Surprising location may help scientists better estimate ancient population. Ever Heard a Utahn Say ‘Mountain’? Do You Want Ideas to Strengthen Your Family? Come to BYU Education Week! Christianity in Lord of the Rings: Would Easter fly on Middle Earth? 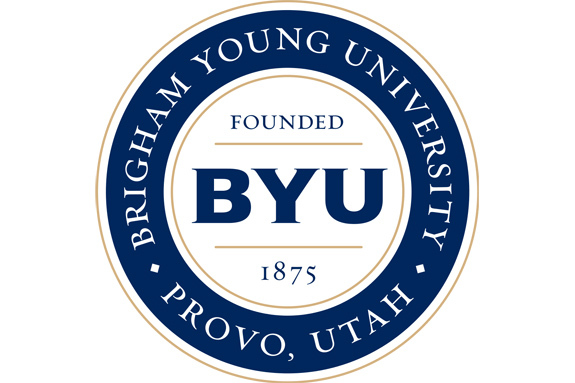 Recruiters ranks BYU's accounting program as number one. New DVD part of national program to educate children.